This sectional has a streamlined and modern aesthetic. With its track arms and tufted back cushions, this two-piece, right facing chaise Sectional provides comfort, versatility and freshness to its surroundings. Finished in a polyester fabric, the sectional offers a fresh perspective to today's living. The angled wood legs bring an additional level of sophistication to the collection and your home's decor. The Jordana Sectional by Diamond Sofa at Red Knot in the Oahu, Honolulu, Kapolei, Pearlridge, Salt Lake, Hawaii area. Product availability may vary. Contact us for the most current availability on this product. 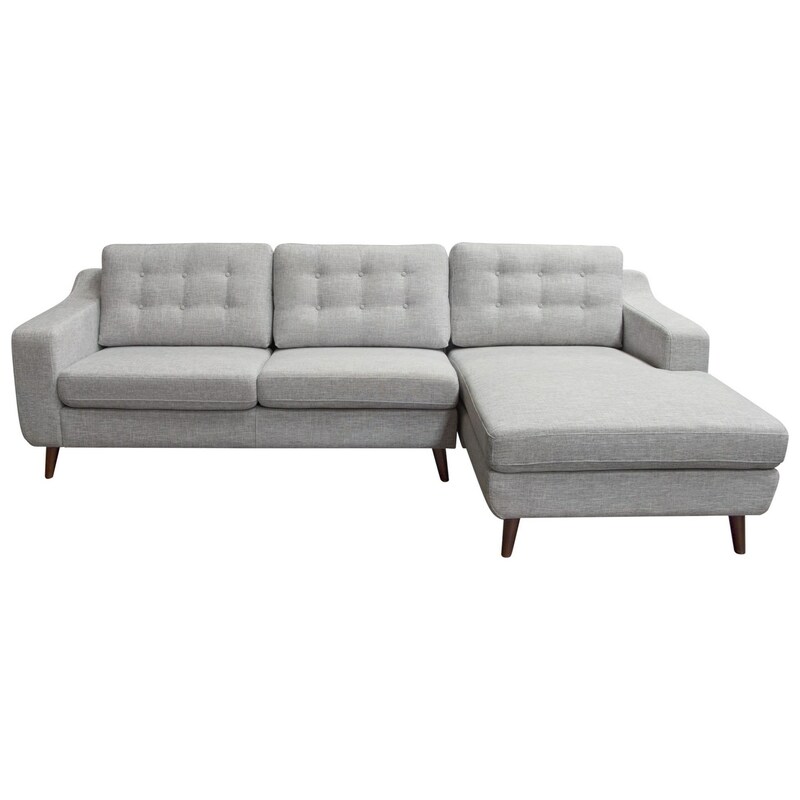 JORDANARCLG Right Facing Chaise 1 63" 39" 35"
JORDANALSLG Left Facing Sofa 1 71" 36" 35"